Welcome, to a selection of fonts that I love to use and think they look fab when applied to the right blog. 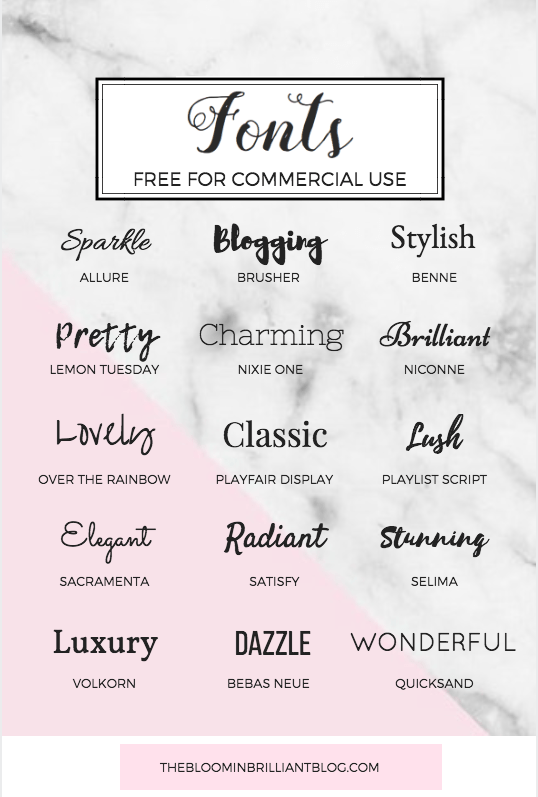 All of these fonts are free for commercial use and are available on Canva, so when editing they come in handy. Let me know if you use any of these fonts, obviously there are plenty more great ones out there but it is difficult to know which ones can be used commercially. I hope these help you out and they are of use to you. Previous Post 5 goals for this month. Next Post What I am looking forward too this Summer!